A preview version of DayPilot Pro for ASP.NET Core is now available. 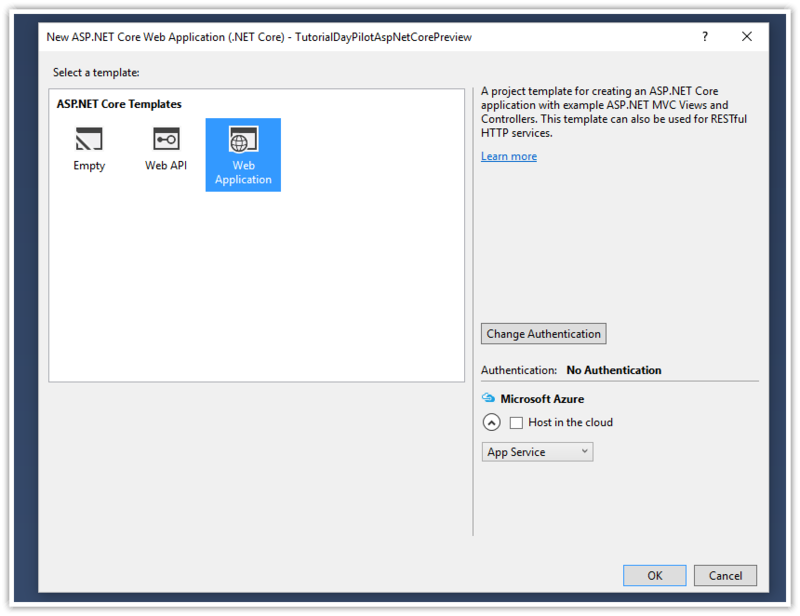 This quick tutorial shows how to start using it in an ASP.NET Core web project. Licensed for testing and evaluation purposes. This project uses a pre-release version of DayPilot Pro for ASP.NET Core. Please contact sales@daypilot.org to purchase a license. 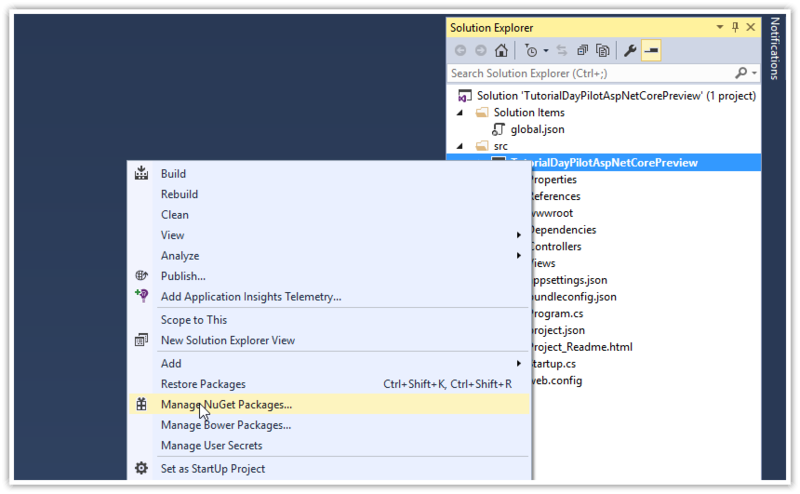 Create a new Visual Studio 2015 project using File -> New -> Project... menu option. 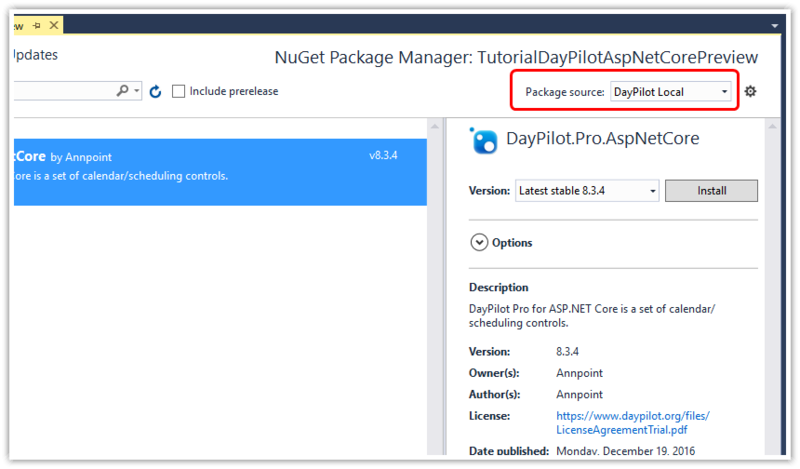 This pre-release version of DayPilot Pro for ASP.NET Core is not available through the public NuGet repository. 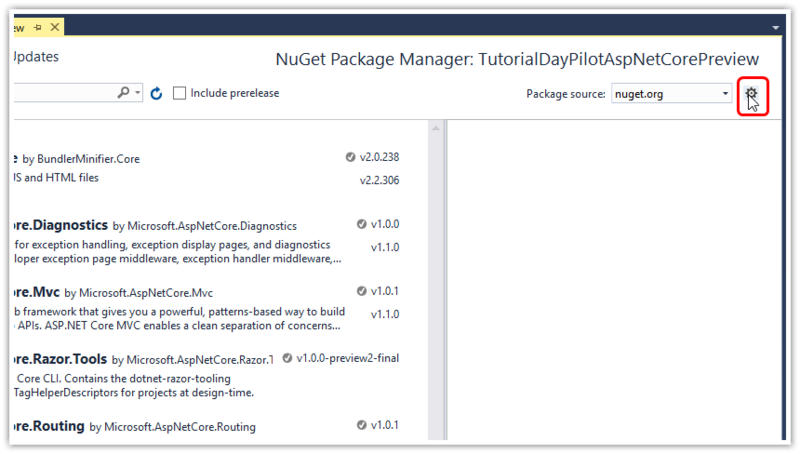 You need to download DayPilot.Pro.AspNetCore.8.3.4.nupkg and install it from a local NuGet package source. 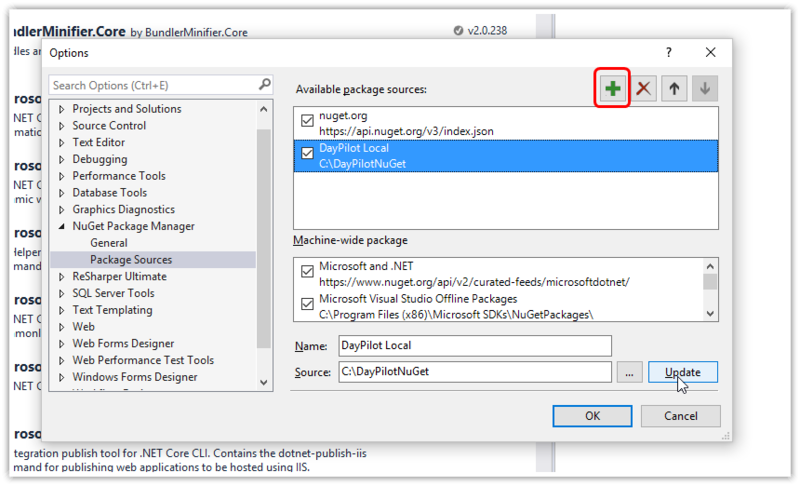 Right-click the project and open "Manage NuGet Packages...". Click the gear icon to manage NuGet package sources. Open Views/Home/Index.cshtml and add <daypilot-scheduler> tag. id - specifies the Scheduler ID, it's used for the placeholder <div> id attribute and also for the client-side DayPilot.Scheduler object that represents the Scheduler. Now we need to add the backend controller action that will handle the internal communication with the client-side Scheduler object. You can pass the resource list to the <daypilot-scheduler> config as a MVC model. You can load it using the OnInit event in the Dps class. The OnInit event is fired immediately after the Scheduler is initialized on the client-side. This example uses "EventData" class which is an ad-hoc structure that holds the event data. And we will also adjust the time headers accordingly. The time header now displays months and days in two rows (TimeHeaders property). 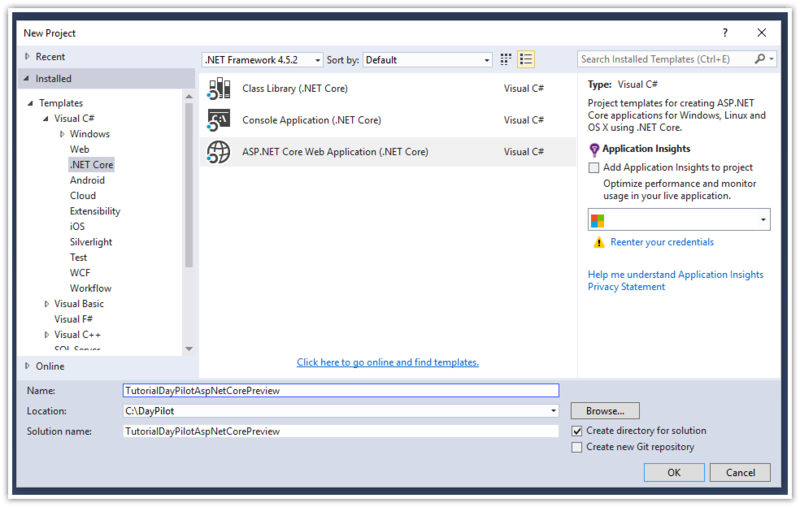 Blank Visual Studio 2015 project with basic ASP.NET MVC Scheduler view. A quick start (boilerplate) Visual Studio 2015 project for DayPilot Pro Scheduler (ASP.NET MVC 4).